It is 2.45 pm on Wednesday, 20th June 2012, afternoon. GiLoCatur and family along with a number of Malaysian chess contingent are waiting the AK869 flight at Da Nang airport after the 13th Asean+ Age Group Chess Championship. GiLoCatur had been staying about ten days in Hue city and an overnight in Da Nang. It is time for GiLoCatur to say "Good Bye" for Vietnam. GiLoCatur managed to explore both cities even though busy at the chess tournament. It is a learning experience for GiLoCatur on Vietnam and its people. Hopefully, GiLoCatur and family will come again to Vietnam in the future. GiLoCatur is very amazed at the natural beauty of the country. Exploring Vietnam by mini van, cab, boat and foot in ten days has given GiLoCatur new experience and knowledge. Since travelling is one of GiLoCatur's hobbies and interest, sweet moments and experience will be cherished and remembered always. It is Saturday morning. It is 6.15 am in Hue City, Vietnam or 7.15 am in Shah Alam, Malaysia. The sun had risen one hour ago. GiLoCatur is in Room 264 of Huong Giang Hotel. It is a free day today for the 13th Asean+ Age Group Chess Championship participated by all the three GiLoCatur's children. We plan to explore the Hue City today and visit Dong Ba market. The standard event of the championship had completed yesterday. It is a 9-round 120-minute per player competition. Fikri, GiLoCatur's eldest son, was playing in the Open 16 category. Twenty three chess players from six countries took part including three from Malaysia. 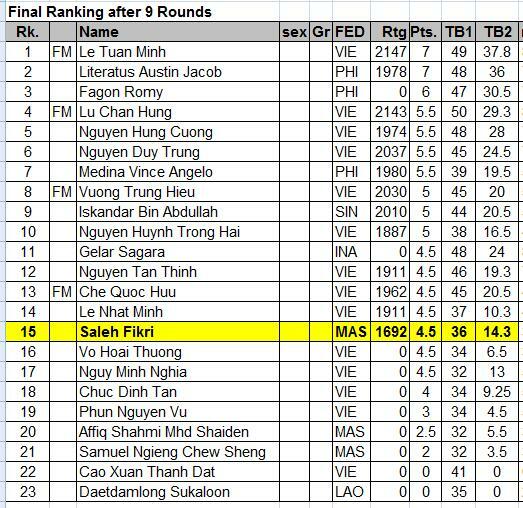 Fikri was seeded 13th and the lowest rated player. It is the first international and age group chess tournament for him. How did his performance? What is his results? Fikri scored 4.5/9 points meaning achieving 50%. His first opponent was a Vietnamese FM which is also the second seed. His opponent whose name is Lu Chan Hung has International Rating of 2143, which is more than 400 points than him. Fikri managed to hold his much higher rated opponent and even had winning position (as per told by his opponent himself) at certain point. Surely, lack of experience and exposure is one of the challenges that he has to take care of. Fikri had played three rated opponents - two from Vietnam and one from Singapore. Unfortunately, he lost to all the three of them. Five of his nine opponents are from the host country, Vietnam, while one each from Singapore and Indonesia. He won against the two Malaysian players who were playing in the same category. Tomorrow, Fikri will play in the Rapid event. It will be more challenging because he will compete in the Open 20 category. The reason is to complete a three-player-per-team for Malaysia. There are only two Malaysian players in such event. Hopefully, Fikri will play better and have better performance even against much more experienced and stronger opponents. Twenty one (21) Malaysian junior chess players including all three GiLoCatur's children are taking part in the on-going 13th Asean+ Age Group being held in Hue, Vietnam. Twelve of them are boys while the other nine are girls. 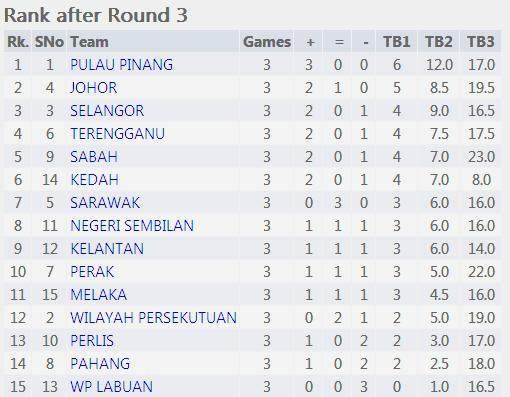 After three rounds, just Anis Fariha and Nabila left among the Malaysian players who are yet losing. Both of them have 2/3 points so far. In the third round, both of them drew against Vietnamese WCMs. In the fourth round on Day 3 morning, both of them are being paired against non-Vietnamese opponents. Anis will play against Filipino player while Nabila will meet an Indonesian opponent. Can they continue their good performance? GOOD LUCK TO ALL THE MALAYSIAN PLAYERS IN THE FOURTH ROUND! The opening ceremony for the 13th Asean+ Age Group chess championship was held yesterday night in style. The event was so colouring, glittering and amazing. The ceremony was shown live in local tv station unlike in Malaysia for any chess event. As a Malaysian chess community, don't you wish that Malaysia organizes this chess competition? It will be a great advantage for Malaysian chess junior players if it is being held in Malaysia. Can the Malaysian chess authority, MCF, take the initiative? GiLoCatur understands it is very challenging to have such event held in Malaysia. GiLoCatur strongly believes that the MCF's secretary has thought about this. 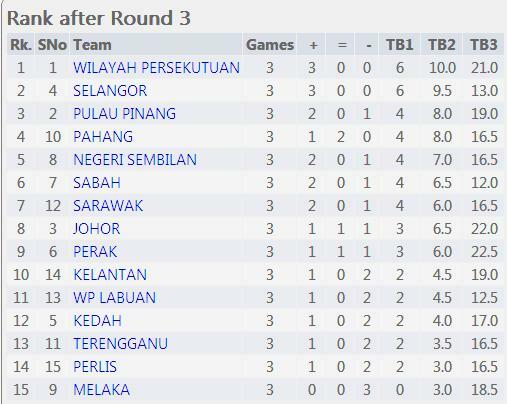 MSSM 2012 Chess Championship hosted by Terengganu is just over. GiLoCatur attended the closing and prize ceremony four days ago before flew off to Vietnam two days ago. Two of GiLoCatur's children took part in the championship representing two different states - Selangor and Wilayah Persekutuan. Fikri, the eldest son, had an excellent achievement after his L18 team won the gold medal. He also won the Best Board (4th). Anis, on the other hand, did not win any medal even though her personal performance is also good. Based on the results publish in chess-results.com, Anis should have won the Best Board (1st). GiLoCatur did write an entry few days ago asking what the medal tally for MSSM 2012 edition would be? So, let's see below tables summarized based on the final ranking published in the chess-results.com. GiLoCatur does not have the official results. 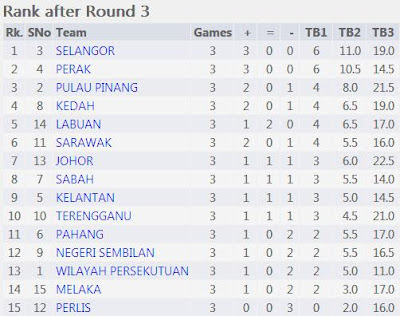 Selangor continues its dominance in the annual championship by winning the most number of medals, sharing the highest number of gold medals with Wilayah Persekutuan and being the overall champion yet again. 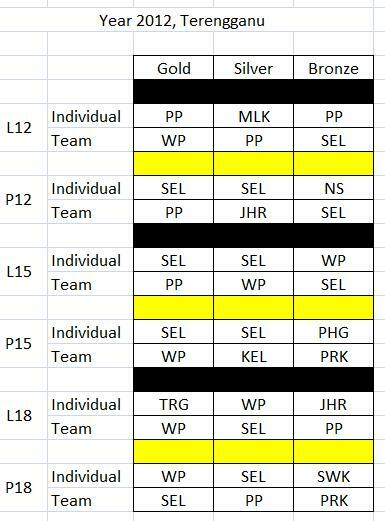 Selangor excels in the individual events when it won not only gold but also silver medals in three individual categories - P12 and both U15. Meanwhile, Wilayah Persekutuan won three gold medals in the team events - L12, P15 and L18. Pulau Pinang won three gold medals in L12 individual and P12 and L15 team categories. Terengganu managed to stop Wilayah Persekutuan from winning the gold medal in the L18 individual category through Wong Jianwen. Selangor was missing a gold medal in the P18 individual category when its player, Amira, lost to WIlayah Persekutuan player named Pavitranayagi. Selangor has won medal (gold, silver & bronze) in almost all twelve (12) categories. It does not win any of the the top three (3) medals in only three categories which are L12 individual, P15 team and L18 individual. So, the questions on the medal tally or distribution had been answered. We'll have to wait another year to know the medal tally of the next year MSSM Chess Championship. Which state will be hosting the event? After spending one week in Kuala Terengganu for the MSSM Chess Championship, Fikri and his two siblings flew off to Vietnam on yesterday. He participates in the 13th Asean Age Group from 11th to 19th June 2012 in Hue, Vietnam. 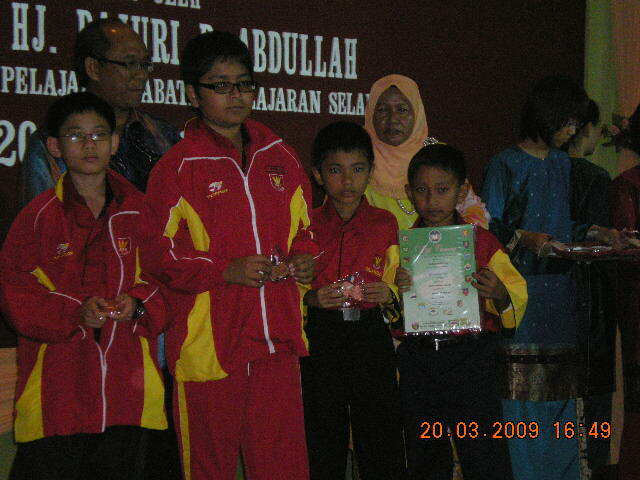 Fikri is one of the twenty one Malaysian chess juniors who compete in the age group chess championship. It will be the first oversea chess tournament for Fikri and his 10-year-old brother Fahim. Having less than 24 hours to rest after coming home from Terengganu, he immediately packed his bag and ready to fly off to Da Nang, a city located in Vietnam. 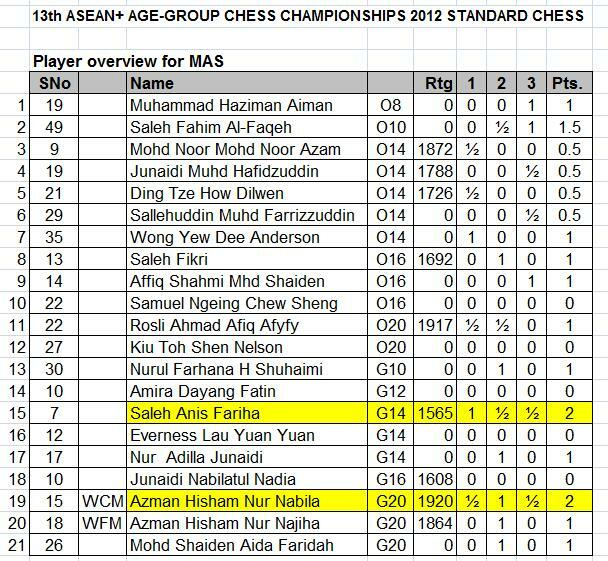 Mean while for Anis, it will be her second Asean Age Group Chess Championship. Last year was her first held in Tarakan, Indonesia. Not like her last year, this time all her family members are coming along including mom and dad. What would the medal tally for MSSM 2012 be? Which state will win the most gold medals? 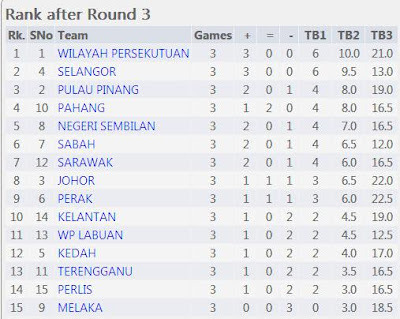 Can Wilayah Persekutuan win at least four gold medals like last year? Which other states will join the BIG 3 in winning the gold medal? Can Selangor maintain its status as the most-won-medals state? All the answers for the above questions will be answered when the final (sixth) round is over today (Friday, 8th June 2012) at 11.00am. 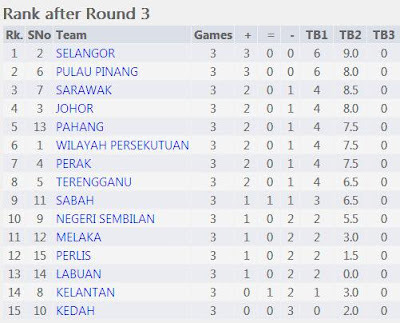 In the boys team categories, all the Selangor teams have excellent results - perfect 3/3 win. 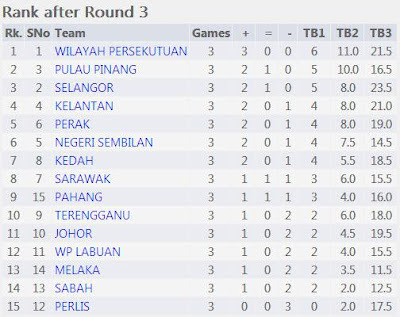 GiLoCatur is happier because the WP's L18 team in which Fikri is representing has also excellent results. 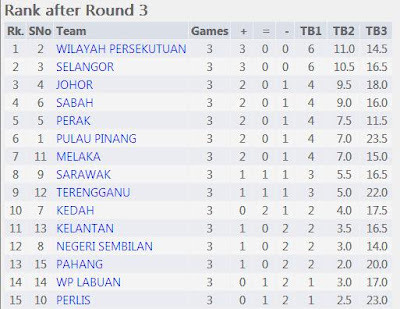 It will be a battle between WP and Selangor in this category in the fourth round. GiLoCatur believes the winner will emerge as the champion and gold medalist. It is good to note that the Selangor L12 boys team has a great chance to be on the podium this year. In the L15 boys section, Pulau Pinang managed to outwit Wilayah Persekutuan (WP). The former will meet Selangor in the fourth round after both teams won all their respective rounds. What the outcome it will be? Selangor wins? Pulau Pinang wins? OR it will be a draw? How about the WP's team? Can they make a come back? We will find out after the fourth round is over, won't we? 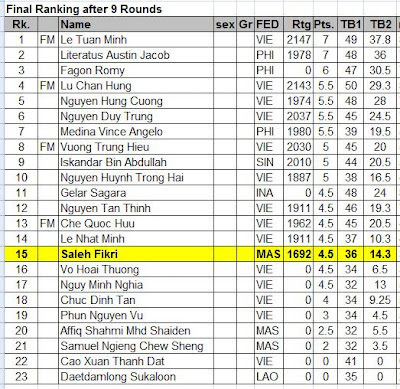 GiLoCatur is so happy that Fikri won all his three rounds so far. His team won convincingly against both Sarawak and Pahang with 4 - 0 score. Then, Fikri and his team mates managed to win against strong Pulau Pinang with 3 -1 score. In the fourth round, Fikri and the gang will play against his former Selangor team. 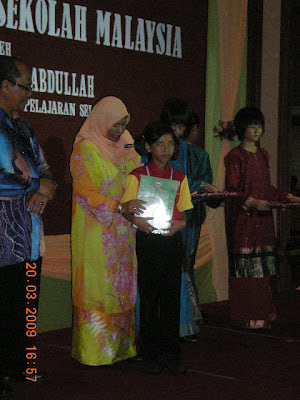 Hopefully, Fikri can put his nostalgic sentiment aside to continue winning to be crowned as the golden winner. GiLoCatur hopes to arrive at Kuala Terengganu before the match up ends at 11.30 am. Time to go to bed, folks! Three rounds had completed. Three more rounds to go. Let's see the team ranks for the girls category. Pulau Pinang lives up to its first seeding. It is the only team that has the perfect 3/3 wins. Pulau Pinang which consists of Teh De Zen, Goh Jie Yie, Khaw Ker Lee and Teh Ming Min has had a solid performance so far. Each of them won all their games meaning the team scores 12/12 game points. 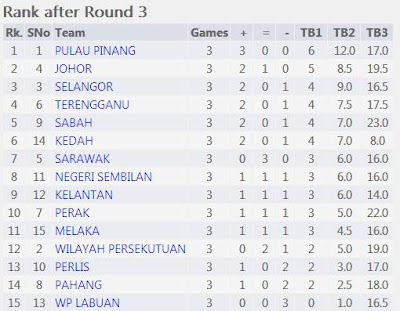 In the fourth round early this morning, Johor will try to stop Pulau Pinang from winning the gold medal. 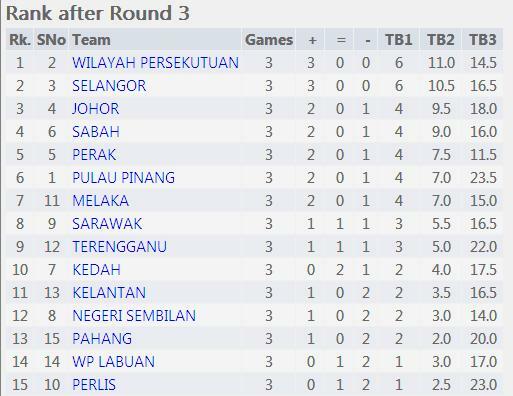 In the third round, Johor managed to beat the third seed, Selangor, 3 to 1. GiLoCatur predicts that these three states will emerge as the top three. P15 team is one of the two categories that GiLoCatur pays the most attention. 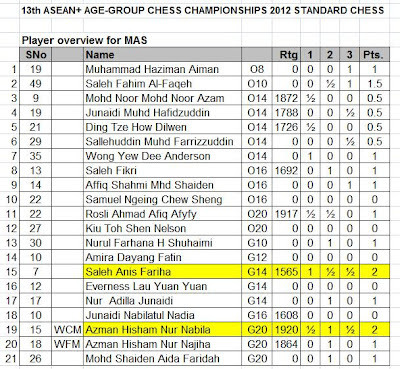 It is because GiLoCatur's daughter, Anis Fariha, is playing in this category. Playing on first board, Anis has accumulated 2.5/3 points. Two of her team mates - Ee Sun Xin and Seri Aisyah, have also scored the same point. 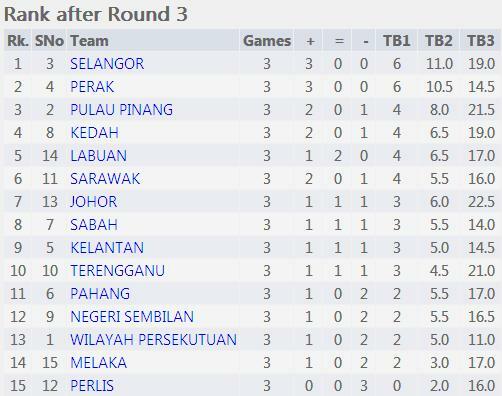 Seeded second, Selangor defeated Terengganu and Negeri Sembilan 3 to 1 respectively. In the third round, Anis and her team mates managed to draw with Pulau Pinang led by Hoh Tjin Hui. Last year gold medalist, WP, is the leader after winning all the three rounds. WP will be challenged by Anis and her other Selangor team mates in the fourth round. Surely, it will be a nerve wrecking match for GiLoCatur. 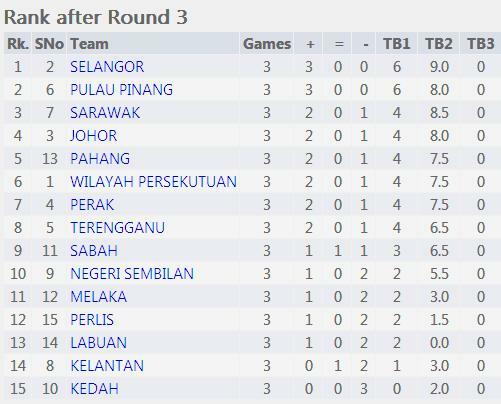 GiLoCatur is so happy that the Selangor P18 team is leading in this category. The team won all the three rounds. Selangor has the best chance to win gold in this category. 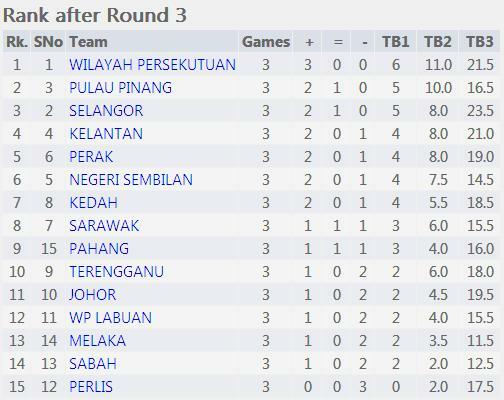 It needs to win against Perak that also has a perfect 3/3 wins in the fourth round to come closer for the gold medal. GiLoCatur would like to wish BEST OF LUCK to the P18 Selangor team - Xin Yen, Nurul Adlina, Zahidah Faqeehah and Shie Mei. Kuala Terengganu, Monday 4th June 2012. It is Day 1 of MSSM Chess Championship for the year 2012 edition. The first round began at 2.30 pm and ended three hours later. Many Malaysian chess enthusiasts especially the players' parents including GiLoCatur would like to know the results but unfortunately it is not immediately available. GiLoCatur had to contact both Fikri and Anis to know their team results. Fikri who is playing for Wilayah Persekutuan (WP) in the L18 (Under 18 Boys) team event won his game today. His team won convincingly 4 - 0 against Sarawak. Alhamdulillah, his younger sister, Anis who is playing for Selangor in the P15 (Under 15 Girls) team event, also won. Her team beats Terengganu 3 to 1. Only two individual categories of the championship being published in the chess-results.com by Muhammad Arshad. Hopefully the info is correct. In the P12 (Under 12 Girls) individual category, Puteri Rifqah from Selangor will defend her title. It will be her last edition in the category since she will be 13 years old next year. 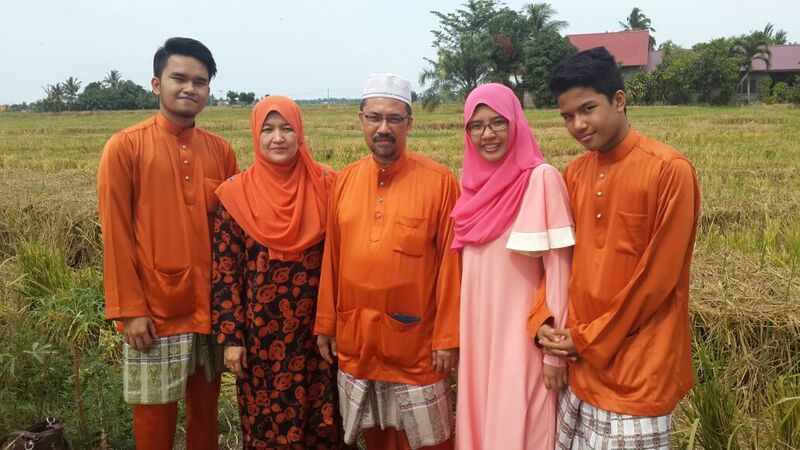 Joining her is her younger sister, Puteri Munajjah. Both of them are the best bet for the Selangor contingent to win the gold and silver medal. Both of them will be challenged by Nithyalaskhmi from Negeri Sembilan, last year first runner up. GiLoCatur does not see last year second runner up from Pulau Pinang, Teh De Zen. GiLoCatur believes she is playing in the team event. Another challenger is Siti Khadijiah Sabirin from Terengganu. She and her elder sister took part in the recently concluded National Closed. Not many upsets in the first round for the P12 individual category. The only one that GiLoCatur noticed is the defeat of Chua Jia-Tien (Pulau Pinang) at the fourth table. Seeded fourth, Jia-Tien was defeated by a Sabahan player named Chatrine Elvera Chin. The L15 (Under 15 Boys) individual category will be one of the hottest category to be followed. Selangor is represented by the new National Master, Roshan Singh, and the best (U18) Malaysian junior player, Yeoh Li Tian. Can NM Roshan emerge the winner in this category after being second last year? Or will former L12 champion, Li Tian, stop Roshan? In GiLoCatur's opinion, other players who can become tough challengers to the two Selangor representatives are Shreyes from Pahang, Aziz Farhan from WP and Sirajjuddin from Kedah. Sirajjuddin is last year edition L12 champion. Five more rounds to go and upsets could happen. Let's wait and see. The P15 (Under 15 Girls) individual category is another favourite one for GiLoCatur. The two Azman Hisham sisters - Nur Nabila and Nur Najiha representing Selangor are the top favourites to win this category. 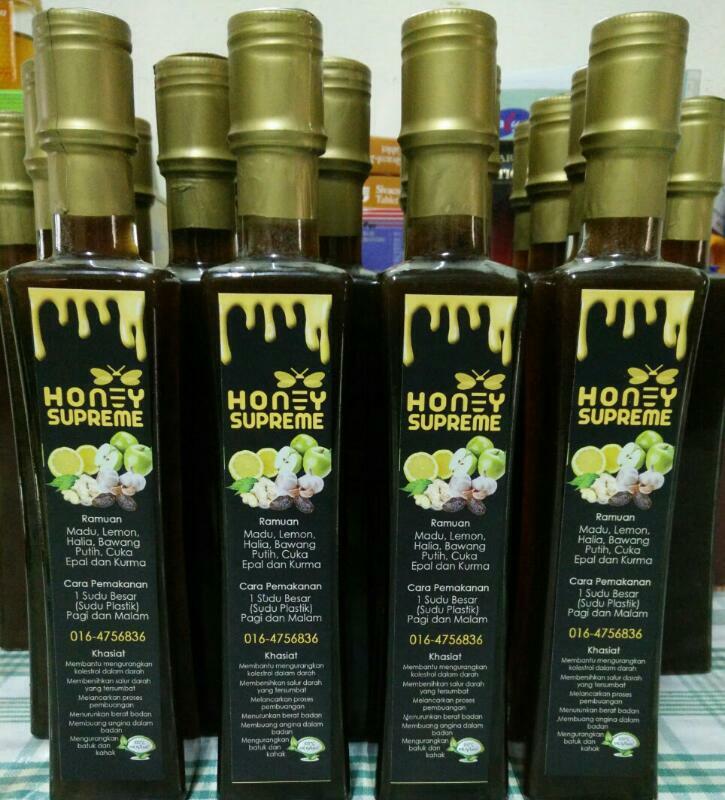 They will be challenged strongly by Fairuz Hamizah from Kedah who was the first runner up last year. It will be more interesting if both Tan Li Ting and Camelia from WP take part in this category. Unfortunately, they choose to play in the team event. It is also interesting to see how few other players like Wong Ing Nge Ing Nge (Sarawak), Siti Aisyah (Terengganu), Nur Sabrina (Pahang) and Jessica (N9) will perform and add the challenges. In the absence of Nabil, Yit San and Syakir, the L18 (Under 18 Booys)individual category is open. Last year L15 individual champion, Elgin Lee is not seen in the list. GiLoCatur is not sure whether he is in the team event or not playing at all in the MSSM this year. The top favourite is Jian Wen from WP whose rating is above 2000. His toughest challengers GiLoCatur believes are Jonathan from N9, Vinton Wong from Selangor, Sazlee from sabah, Albert Ang from WP and both Pulau Pinang players - Chuin Khai and Boon Hao. In the absence of Alia, Amirah from Selangor looks set to become the champion in the P18 (Under 18 Girls) individual category this year. Sarika from Pahang will try as hard as possible to deny that. Another tough contender is Pavitranayagi from WP. Last year, she played in the P15 team event. Kelantan-born Laila Husna who represents Johor is another player who has a chance to win this category. GiLoCatur considers her as the underdog. All of the above is just GiLoCatur's opinion. You may have different opinion. 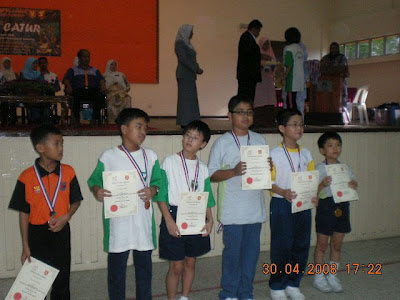 So, ALL THE BEST to all the chess athletes who compete in the 2012 MSSM Chess Championship. 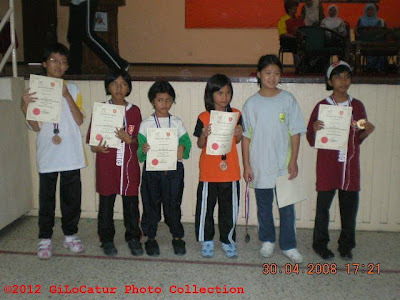 Below are several photos of the newly Malaysian WNM (Women National Master) Nur Najiha Azman Hisham digged out from GiLoCatur's photo collection. Najiha has been a WFM (Women Fide Master). Hopefully, she can continue her chess journey to earn further titles until finally becoming one of Malaysian future chess Grand Masters. KEEP IT ON! MAKE YOUR PARENTS PROUD.